Center of Excellence (CoE) brings in-depth expertise, time-tested solutions experience to deliver a higher degree of standardization and automation. TalentPace's smartphone application development provides customers with an end-to-end solution (smartphone app) that includes analysis, design, development, testing and delivery. Our experienced iPhone app development team with a strong background in iOS Development can make your idea become a reality. Having developed numerous iPhone apps to date, you can feel confident that our iPhone app development services can provide your idea and business a custom effort delivered on time and on budget that will be downloadable on the world’s leading mobile device. TalentPace’s expert Android app developers have both the expertise and skill to develop interactive and innovative Android apps ready for prime time in Google Play. We have developed feature rich Android apps used in such different fields as business, technology, healthcare, media and entertainment just to name a few. Today there are multiple mobile platforms and devices on the market, choosing one operating system to develop a mobile application is no longer a workable solution. 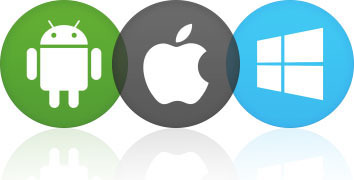 Cross-platform app development is what your business and customers need. Ultimately with cross-platform mobile app development businesses get their native apps to look, feel and function across any platform or device. TalentPace solution approach helped Lhetto developing a fully integrated digital menu for Hotels and Restaurants bringing lifestyle experiences for customers, establishing loyalties, serving faster with error free orders, and enhancing their business propositions with robust analytics. DineIn powered by TalentPace solution enjoying a great success and become one of the New Zealand’s leading online food ordering facility from all takeaways, restaurants, bars, cafes, catering and function services across all the major cities in New Zealand. In ever changing life style experiences, technology plays an essential role. Knowing the trends and most demanding enterprise social networking platforms, TalentPace helped our customer developing an application to bring like minded game players on to a common ground where they can team up and play games. 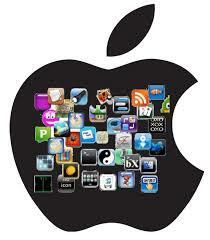 Developed on both web and Mobile this is already a largely successful apps. TalentPace expertise in Mobile enabled and enterprise logistics line helped SUTL, Singapore enhance its competitive position by reducing operating expenses and improving customer service with diligent distribution management system connected with GPS. TalentPace developed a fully integrated self-service queue management system entrusted to serve Lenovo customers with repair line orders more efficiently.